This collection of extremely cool 3D stereo views of Meiji Japan was found at a site called Bezbridge. 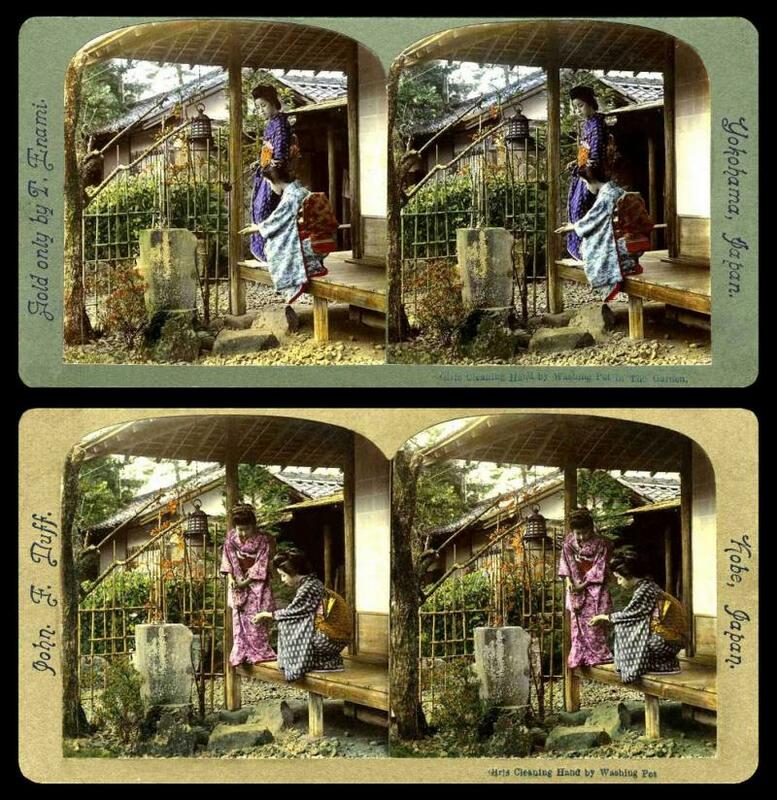 It is a collection of old images of Japan set up in animated stereo view. These are all moving gifs. This sounds interesting so I dug up some more information about T. Enami for you. The formal portrait of Japanese Photographer T. Enami seen above was possibly taken in 1909 --- dated by the outdoor group portrait shown below that was published in association with it. If so, Enami would be about 50 years old, with 20 years of photographic activity still ahead of him. The original silver prints of both of these images have been lost, and are reproduced here from halftone illustrations published in K. Ogawa's 1913 book SOGYO KINEN SANJU NEN SHI [A Celebration of Thirty Years in the Photography Business] ---a commemorative book detailing the history of K. Ogawa's commercial photographic enterprises that, among other things, provided portraits of the photographers and associate members of the K. Ogawa Alumni Association. To see more go to Bezbridge. Old school seems pretty high quality, don't you think?